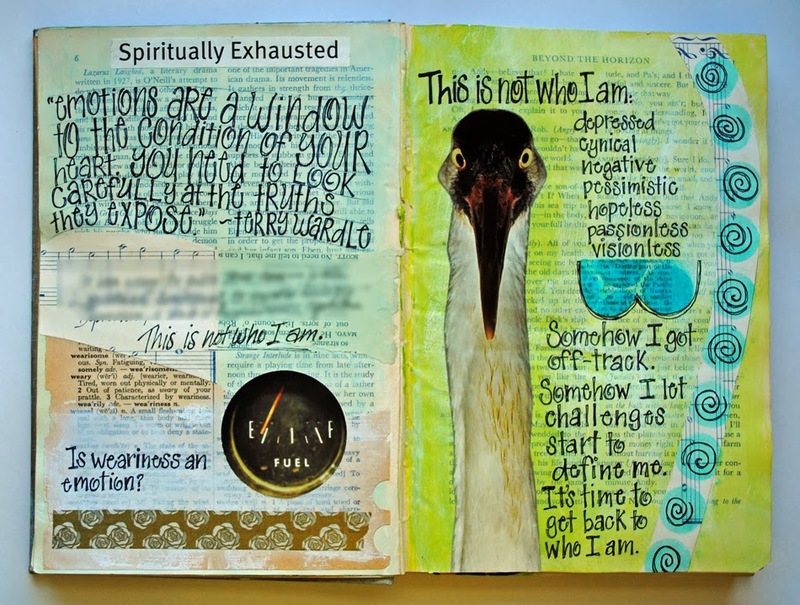 One of the restorative qualities of art journaling is to be able to release the things you're dealing with and pour them out on your pages. This same quality is beneficial in a written journal, but when you are able to do this AND add creativity AND play with paint and paper, then I'm really digging it. Even when that stuff is messy. I started this year determined that it was going to be a better year. 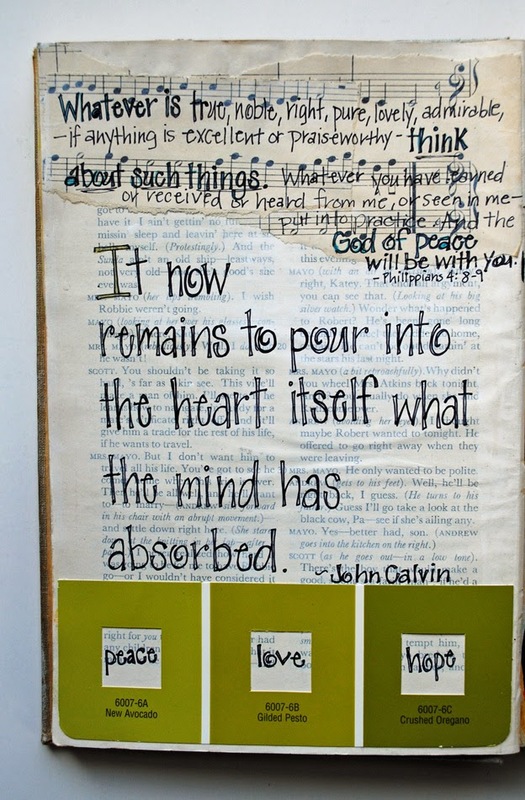 Over the past few years a negative mindset has crept into my heart and mind and the last half of 2013 seemed to be the worst. I was spiritually and emotionally exhausted. My attempts to try and change it have been unsuccessful. As a result, burn-out and depression began to be a part of my life. Through all of this one message repeatedly played in my head: "This is not who I am." 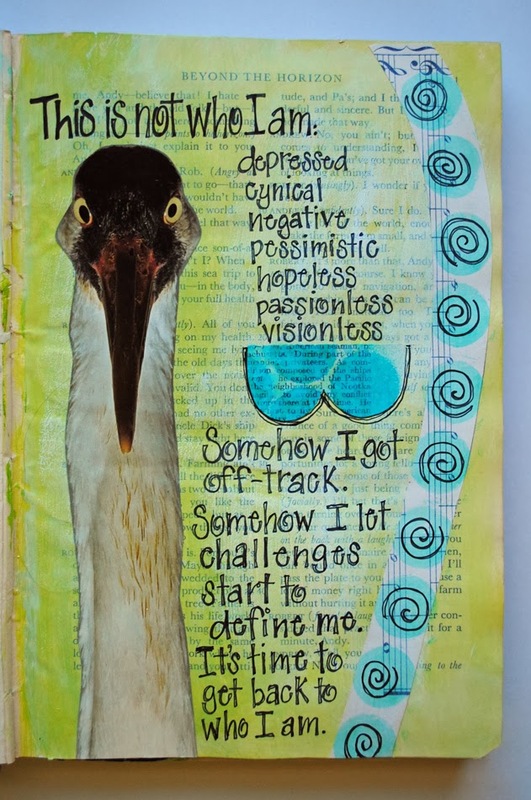 It's a real challenge for me determining what I should share in the online world, but then I remember that one of the reasons I am blogging is because, like art journaling, blogging is another form of creative release for me. That doesn't mean I'm going to "air all my dirty laundry", but I do want to be real and life is not always full of sunshine and happiness. 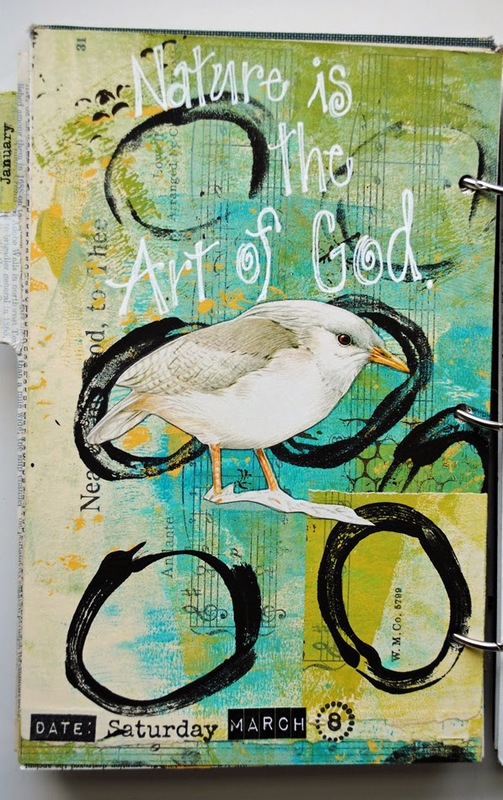 I am encouraged by my online art journaling friend, Mary Freeman at A Splendid Adventure. (For example this post: http://www.asplendidadventure.blogspot.com/2014/02/in-midst-of-confusion-doubt-and-pain.html) Mary is very open in sharing what is in her heart ~ good, bad or otherwise. Mary's posts always speak to me and encourage me and give me some bravery to do the same. This year IS turning out to be better. The circumstances in my life that have led me here haven't necessarily changed, but my perspective is changing. And this is solely a work of God. Back in January we did a contemplative prayer exercise with the Lord's Prayer in our staff prayer time. It turned out to be a very significant experience and seems to have been a turning point for me. I've tried so many things to try and change my mindset, exhaustion, and depression over the past few years and have had very little success. But this year, with a dose of determination at the start of the year; with much prayer, and positioning myself before God through spiritual disciplines and practices, I am experiencing change. And it feels great! I have been experiencing times of feeling like myself again and my energy has returned. There will be more on all of this in the future. Of course, this all eventually makes its way into my art journal. That is a great quote, Leigh Ann. I am an Ortberg fan also. Thanks for visiting and for sharing! looking at your art always lifts me up. the colors, the shapes, the message. i'm glad you have this outlet for all you may be going through and grateful that you take the time to share it with us. 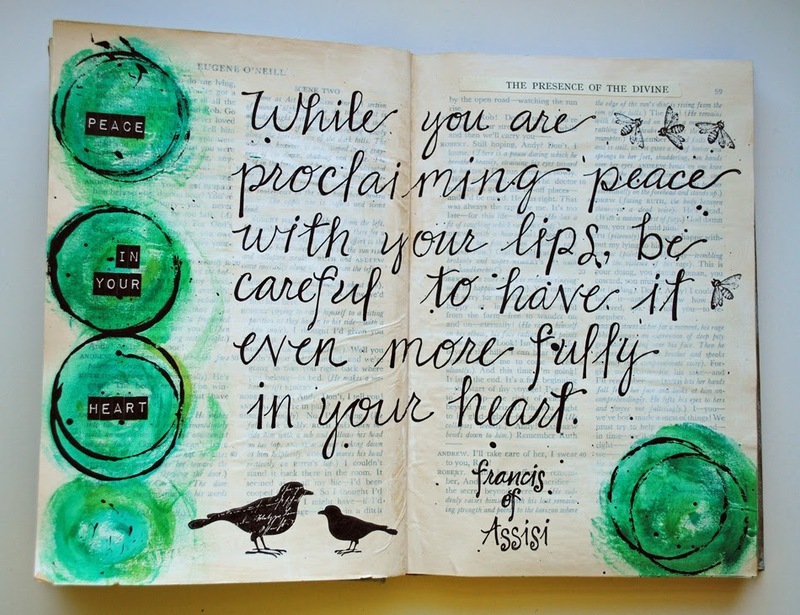 Oh I love your journal pages here, the message, transparency, hope, design, art... everything! Thank you for posting them!